Walls360, a Las Vegas-based startup that creates high-end wall graphics, has kicked off what’s already a successful partnership with customized content kingpin Zazzle. 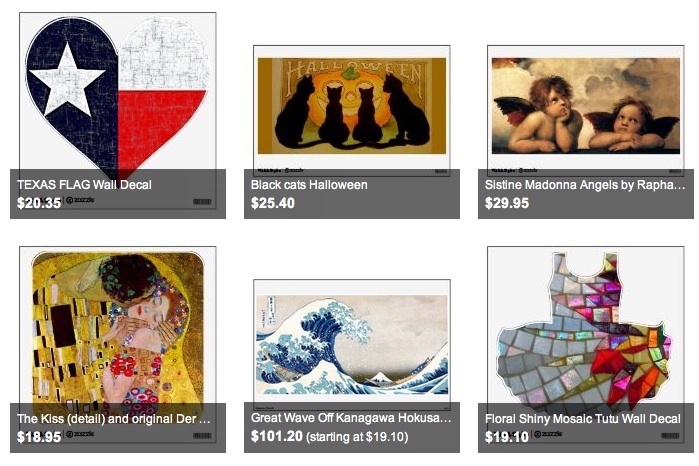 Since announcing on Thursday the ability for Zazzle users to upload images and create their own custom Walls360 graphics, users have already uploaded well over 10,000 designs. It’s further testament to the business-model beauty of selling one-offs on the web. Walls360 has reprint rights for hundreds of thousands of pieces of content and it’s able to offer up a wide variety at any given time because it only prints on demand. The raw materials aren’t too expensive and everything is done in-house, so as long as it can keep up with the pace of orders, Walls360 can reap the rewards of not having a stockpile of pre-printed merchandise to move. In some ways, this is very similar to how the iTunes store lets a company like Apple (s aapl) offer far more music than a single record store ever could. A sample of what users have created. But the partnership with Zazzle takes Walls360’s business to a new level because, for the first time, customers can actually design and upload their own prints. So, not only can parents who want a 40-inch-by-40-inch print of their daughter’s smiling face can get personalized prints, but — just like music artists can put their wares on the iTunes store — individual designers or brands can make their work available for the world to order. The great part for Walls360, however, is that Zazzle handles all the front-end work (billing, design tools, e-commerce, etc.) so Walls360 just needs to print and ship. 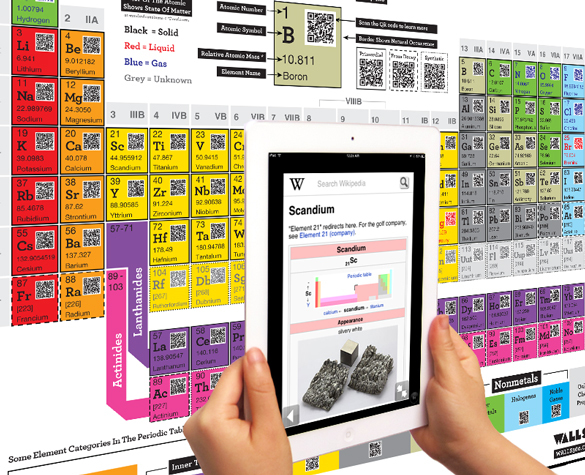 That lets the company focus on its primary business of printing licensed content (ranging from Tetris to children’s books to Star Trek), custom content for large customers such as EA (s ea) and even internally designed creations such as period tables complete with QR codes for additional information on the elements. The on-demand and long-tail business model isn’t entirely new, of course — it’s pretty much what drives the web these days — but I’m interested in seeing how unique ecosystems shape up around large platforms. In one corner of the web, Amazon Web Services’ (s amzn) relatively inexpensive and flexible infrastructure has enabled countless startups that can afford to create and run web applications that address long-tail users. In another corner, Zazzle is giving Walls360 (and consumers) a platform via which it can sell custom prints, but Walls360 actually brings its own unique capabilities to the table, making it much more of a partnership than anything else. Whatever you want to call it, though, the relationship appears to be doing well. While he wouldn’t go into exact numbers, Walls360 Founder and CEO John Doffing told me via email the company has broken sales and production records “several times in the last week.” If you can keep up, opening up your business to the unique tastes of potentially millions of designers, consumers, software developers or whomever can’t hurt business. As an artist. Like like working with places like zazzle to promote my art because I do not ship or bill like I would have in the past. It saves me a lot of time.